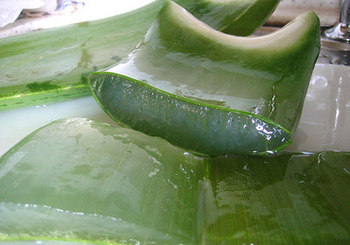 The inner gel of Aloe Vera is considered very well for Skin Care. As it is a natural balancer it's good for all Skin types whether you have Oily Skin, Dry Skin or a mixture of both. Skin is the largest organ in our body and it is very vibrant. Our skin weight 15 percent of our body and covers around 12 to 20 square feet (1.1 to 1.9 square meters)! And 70% of the Skin is water. 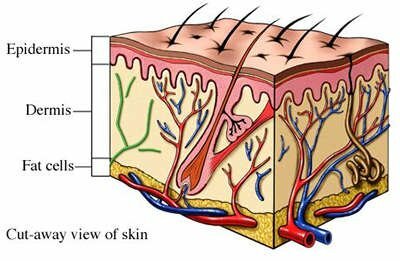 Skin consists of 7 Layers : Epidermis (which is composed of 5 sub-layers),Dermis, and Subcutis. Epidermis - This superficial layer, no thicker than a sheet of paper, both defend you from the outer world and presents you in it. 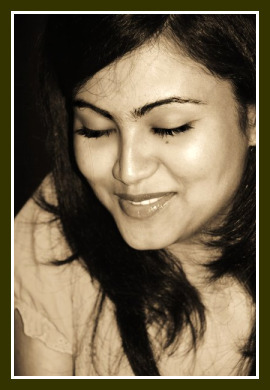 Dermis - This wide middle layer makes up most of your skin. It contain Collagen and Elastin — fibers that give your Skin strength, formation and elasticity. Subcutaneous - This layer, which is primarily fat, is the source of your Skin's nerves & blood vessels. It is also the roots of your hair follicles, oil and sweat glands. Inside Aloe Vera leaves there is a Gel-like substance. This gel has vast range of Vitamins (including Vitamin E –which is very important for skin), Minerals, Amino Acids & Enzymes. Aloe is weirdly a close match to our Skin's pH balance. Therefore, it is able to moisturize and heal Skin fast. Aloe Vera enhances the activity of Fibroblasts. Fibroblasts are special cells found in the Skin that create Fiber such as Collagen & Elastin. These Fibers give Skin it's structure and make it look fleshy and supple. The more we have it the more YOUTHFUL we Look. Deep in the Epidermis, Skin cells are rather large and very much alive when first formed but by the time they reach the surface (usually after 21-18 days in normal skin)they are a just a shade of their former nature and are transformed to slight flakes of Keratin which ultimately fall off. Aloe Vera gel provides the Essential Nutrients to nourish the basal cells. 4 times faster than water"? 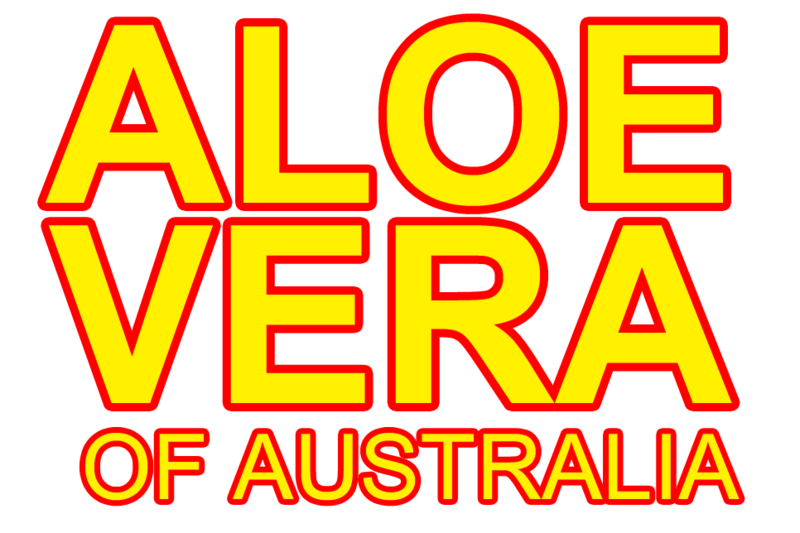 Aloe Vera A to Z by Dr Lee Ritter, M.D. bad breath, burns, boils, bursitis, baldness blister, bruises, bronchitis, bowel regularity body cleanser, bladder infections, blood pressure. These are the external use of Aloe Vera. But Aloe Vera can be taken as a drink. Studies showed Aloe Vera can assist strong Digestive Track and boost the Immune System. An unhealthy Digestive System habitually means Pimples on the Face, Dark Circles under Eyes and Loses of Hair. So when the digestive system is back to healthy again that results healthy Skin, Healthy Hair and overall a Healthier YOU! It is no surprise that Aloe Vera is called The Miracle Plant. It is quite easy to grow this plant in your backyard, or even just outside your window. Just remember too much cold is it's enemy.